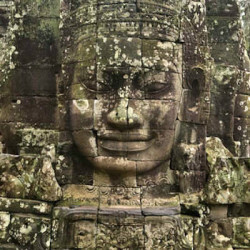 There are two very big and very impressive reasons that travellers flock to Angkor – the Angkor Wat and Angkor Thom temples. This used to be one of the most important cities in the world, and was the centre of the Khmer empire from the 9th to the 15th century. Though Angkor’s heyday as a world capital is long over, it’s still a popular destination for visitors from all over the globe.